What is Maven Labs Brain Stack? 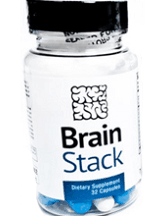 Here is a review for Maven Labs Brain Stack to help you decide between various nootropic products. The company who manufacturer’s this product claims that this product can help you learn faster and retain more information as well as increase your efficiency and productivity. They also claim that this product will help you to regain your motivation and drive in daily activities. Keep reading to find out more about the effectiveness of this supplement. According to the instructions listed on the manufacturer’s website you are to take 1 capsule in the morning and can increase your dosage as needed. It will depend on body size as well as your tolerance. You can increase your dosage to up to 4 capsules but should not take any more than 8 capsules in a 24 hour period. The manufacturer offers three different packages for consumers to purchase. You can purchase a 2 week supply for $34.95 per bottle. You can purchase a monthly subscription to the product for $27.50 a bottle. If you prefer to have a month’s supply of this supplement you can also purchase this for $32.50 a bottle. When I used this product I did notice a significant difference in my levels of energy throughout the day. I was able to stay focused on tasks and get more accomplished during the day. I experienced more motivation to get up and get going after only a few days of taking this product. Most of the customer reviewers had similar experiences using this supplement and experienced very few side effects. According to the information listed on the manufacturer’s website there are no ingredients in this product that cause any side effects. Studies have been done that shoe with even 4-6 weeks of use there are no issues. This product does contain caffeine which can give some people a jittery feeling along with headaches. Maven Labs offers a 60-day money back guarantee if you are not satisfied with the product. The purchase of the first 32 pills from Maven Labs is non-refundable. In order to request a refund you must first answer a few survey questions. Maven Labs Brain Stack seems to be an effective product when it comes to boosting energy, concentration, and with the assistance of memory enhancement. Most of the consumer reviews were positive in nature and showed that this product has long-term potential with very few side effects. There is also a 60-day money back guarantee for the product. This product does however, contain caffeine which can turn a lot of consumers off to a product due to the potential side effects. Caffeine generally cause jittery movements as well as headaches. The 60-day money back guarantee has some stipulations and hoops to jump through which may also be a pitfall.